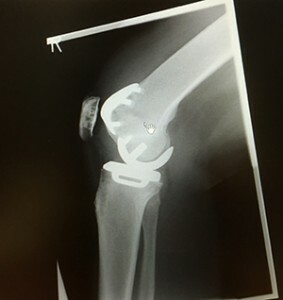 Why would you have all your knee replaced if you only have arthritis in part of the joint, a partial knee replacement is possible, and more likely to give you better functional results ?? 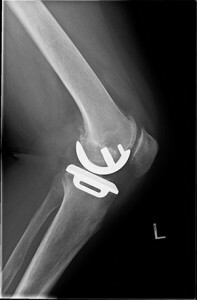 Any of the 3 main parts of the knee joint can be selectively replaced. Most commonly this is the inside (medial) part of the knee, followed by the patellofemoral joint (kneecap), and least commonly the outside (lateral) aspect of the joint. Between 25-50 % of patients with knee arthritis, have disease only in the medial compartment of the knee, and may be suitable for partial knee replacement. 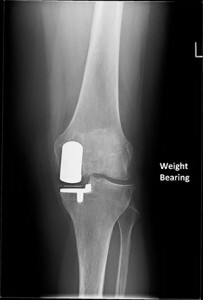 The Oxford unicondylar knee replacement is the most durable/successful partial knee in the world for this condition. With respect to the medial joint replacement, incisions are smaller; ligaments, muscles and tendons are preserved giving a much more “natural feeling” knee. Patients are nearly twice as likely to report that their knee feels normal with a unicondylar (partial) knee replacement, and 2.7 times more likely to be satisfied with activities of daily living, compared to a total knee replacement. The survival of the implant remains excellent with up to 94% still functioning at 15 years. The risks of almost all complications including infection, deep vein thrombosis, and general medical complications, are all halved compared to a total knee replacement. Not all patients are suitable for a partial knee replacement, and may require a total knee replacement. Factors including - a very stiff knee prior to surgery, severe malalignment, instability or an inflammatory type of arthritis may preclude someone having a partial knee replacement. 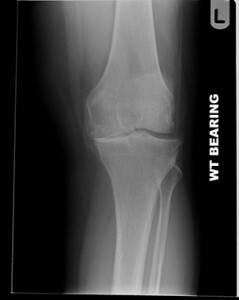 The diagnosis of medial arthritis is made on a history of usually medial pain, and Xrays confirming loss of joint space. An MRI scan maybe required in some individuals to exclude other pathologies. 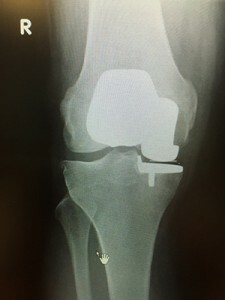 A partial knee replacement usually requires all the ligaments in the knee to have remained intact, and any deformity in the knee to be correctable. Once the decision is made to proceed with surgery, a pre-assessment appointment identifying any medical problems is held. Patients attend on the morning of surgery and usually remain in hospital for 2 nights. Infection – is less than 1%. If an infection occurs after surgery, it will usually present around 7-11 days post-operatively with redness, heat and increasing pain with reduced ability to bend the knee. Numbness – a small area of skin on the outside of the knee will be permanently numb from the skin incision dividing a small nerve supplying sensation. Loosening – any implant can loosen with time, and can become painful. Unicondylar knee replacements usually provide excellent results, with abolition of pain, restoration of range of motion and a return to sporting aspirations. Revision rates for the Oxford knee depend on a number of factors, the most important of which appears to be the experience of the surgeon and the number of cases they perform a year. National Joint Registry results show 12% of replacements may need revising at 10 years after implantation. What type of anaesthesia is used? The decision as to what type of anaesthetic is used lies with the anaesthetic after assessing a patient. General anaesthetics maybe used, or a spinal injection to numb sensation below the waist. This provides good pain control for some hours after the operation and is often combined with sedation through the procedure. When can I drive a car? The decision to return to driving should be made by the patient after sitting in their stationary car and practising the leg movements required to drive, before attempting to drive normally. Driving is usually possible approx. 5 weeks after an operation but maybe 4 weeks depending on an individual. 1. Medial OA with ACL instability. Performing a medial UKR requires an intact ACL for optimal results. In younger individuals trying to avoid a TKR, an ACL reconstruction and medial partial knee can be performed at the same time. 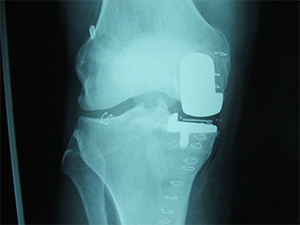 A ‘boutique’ knee replacement combining 2 partial knee replacements in the medial and patellofemoral parts of the knee can be performed together in younger patients trying to avoid TKR, and retain as much function as possible.